What Cassie doesn't realize is that there's more at risk than a few unsolved homicides-especially when she's sent to live with a group of teens whose gifts are as unusual as her own. Soon, it becomes clear that no one in the Naturals program is what they seem. And when a new killer strikes, danger looms close. Caught in a lethal game of cat and mouse with a killer, the Naturals are going to have to use all of their gifts just to survive. 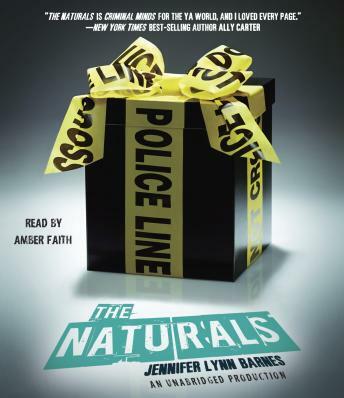 Think The Mentalist meets Pretty Little Liars-Jennifer Lynn-Barnes' The Naturals is a gripping psychological thriller with killer appeal, a to-die-for romance, and the bones of a gritty and compelling new series.